One of the great challenges of our time is to make sense of the world on a global scale, even while facing ever more urgent concerns at various local levels. While artists, curators, critics, and scholars of art have embraced this challenge for some time now, the global discourse of contemporary and modern art remains stubbornly asymmetrical, with many contexts for discussion oriented to the North and the West, and also to the new and the now. 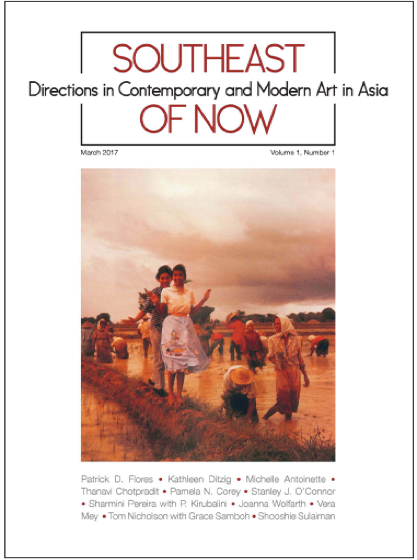 Southeast of Now: Directions in Contemporary and Modern Art in Asia was established by a collective of scholars and curators as a discursive space for creating encounters between critical texts of contemporary and modern art produced in, from, and around Southeast Asia. The editorial board includes researchers from Singapore, Thailand, Indonesia, Philippines, Australia, New Zealand, Cambodia, and Malaysia. It is presently the only scholarly journal dedicated to the recent art of this region. The journal presents a necessarily diverse range of views not only on the contemporary and modern art of Southeast Asia, but indeed of the region itself: its borders, its identity, its efficacy, and its limitations as a geographical marker and a conceptual category. As such, the journal is defined by a commitment to the need for and importance of rigorous discussion of the contemporary and modern art of the domain that lies south of China, east of India, and north of Australia. The title of the journal has a playful yet provocative function as a reminder that Southeast Asia is named, and to a large extent discursively defined, in relation to an imagined geographical center in the North and the West. It is also a reminder that discussions of contemporary and modern art are increasingly framed by an imagined temporal center: that of the now. The lack of educational infrastructure of art history in most countries in Southeast Asia was one of the principal motivations behind the creation of the journal. Resisting the pressure to be always up-to-date and forever new, the journal instead values the historicizing of recent practices, from the nineteenth century (and before) to the present (and after). This historical perspective is a foundation for contributions which may otherwise draw on a diverse range of disciplines and methodologies. The playful disquiet evoked by the title of the journal, which troubles linear notions of space-time and destabilizes any certainty of an imagined temporal center, gave rise to the inaugural volume’s theme: Discomfort. The provocations that the Southeast of Now editorial collective sought included pieces that reflect on the burdens and future possibility of wielding “regionalism” as a framework. The editors hope to locate this source of tension and anxiety through various discourses and narratives. Texts published in the journal’s first issue suggest also the possibility to discover some comfort within unease, even if merely within shared discomfort. One key feature of the journal is the inclusion of less academically-driven sections (‘Interview’, ‘Archive’, ‘Artists’ Projects’ and ‘Review’)—spaces the editors felt were necessary for creating discourses about contemporary and modern Southeast Asian art, and providing access to conversations that are already ongoing. It was important for them to create an open platform within the journal where they could create opportunities for artistic responses as well as scholarly articles. Many contemporary artists are engaged in artistic research and are eager to present their views in formats other than written texts, essays, or reviews. 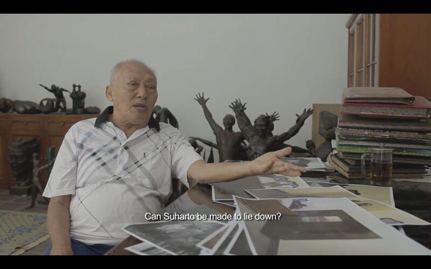 In Volume 1, Number 1, for example, the section titled Artists’ Projects features a video by Tom Nicholson and Grace Samboh, in which they documented their interview with Pak Edhi Sunarso, one of Indonesia’s most eminent sculptors. Southeast of Now is a fitting place where this kind of research material could travel beyond the site of the physical exhibition in which it was originally viewed, which was the Jakarta Biennale. 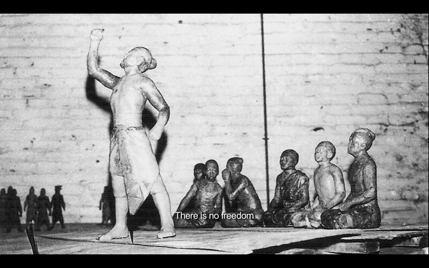 Within the context of the journal it is not only an artwork to be experienced; it is also a primary source of research material about a valuable figure in Indonesia’s modern art history. The structure of the journal also provides numerous curatorial possibilities. The Artists’ Projects pages offer a space for a specifically curated sequence of images or texts, either by a member of the editorial collective, a guest curator, or a respondent to a call for proposals. This follows new approaches to publishing where printed matter may be considered as an exhibition format in two-dimensional form. In future issues the editors will alternate such presentations with archival pages from various collections within and beyond the region, as well as translations and other resources. 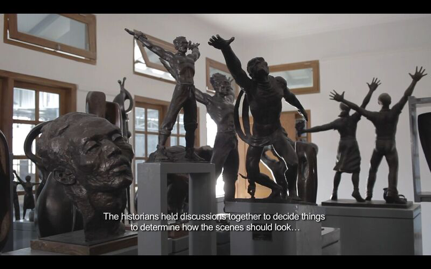 Southeast of Now effectively aims to be a platform where the categories of “contemporary and modern art,” indeed of “art” in general, as much as the category of “Southeast Asia” itself, will always be open for debate. 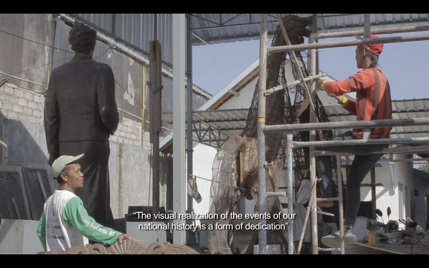 The editors anticipate continuous challenges in redefining these categories, by looking at aspects of culture that do not usually qualify as “art,” by treating the region’s borders as fluid, and also by looking at research that transcends these borders. The journal strives to remain committed to the importance of an historical approach, however interwoven with methodologies from other disciplines and practices. The editors hope that future issues of the journal will look further back in time, to the nineteenth century (and before) with the goal of placing the historical research in dialogue with issues of today. The journal is published by the National University of Singapore Press and it is published twice a year (March and October), in print and online via Project MUSE. To find out more about submission guidelines and subscription information, visit www.southeastofnow.com or the National University of Singapore Press website.